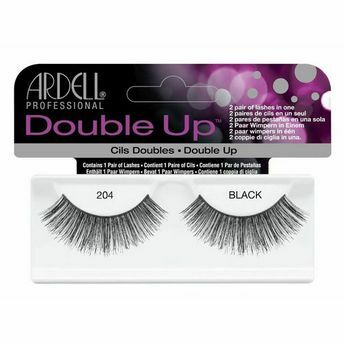 Ardell Double Up Lashes have twice the amount lashes for a more dramatic look. Double layer style gives you a fuller, thicker look. Each lash strip is knotted and feathered by hand to achieve the highest quality. Made with sterilized human hair. A perfect eye makeup is all you need to look and feel beautiful! Additional Information : Ardell is the world-leading brand in faux eyelashes. Offering a wide range of variations to choose from. Ardell Double Up Lashes are versatile and can be used at any occasion.